Day three of Geothink’s 2016 Summer Institute featured Ann Rauhala and April Lindgren leading a writing-skills incubator workshop. 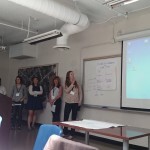 On day three, the students at Geothink’s 2016 Summer Institute shifted gears from working with open data to thinking about the importance of conveying their work to the public. The day alternated between interactive lectures on how to write a strong Op-ed piece for a newspaper and hands-on group work where students tried their own hand at writing gripping prose. Ann Rahaula, an associate professor Ryerson University’s School of Journalism and associate director of the Ryerson Journalism Research Centre, started the day by talking about the importance of disseminating one’s research to a broader audience. Then she covered how to structure opinions pieces. 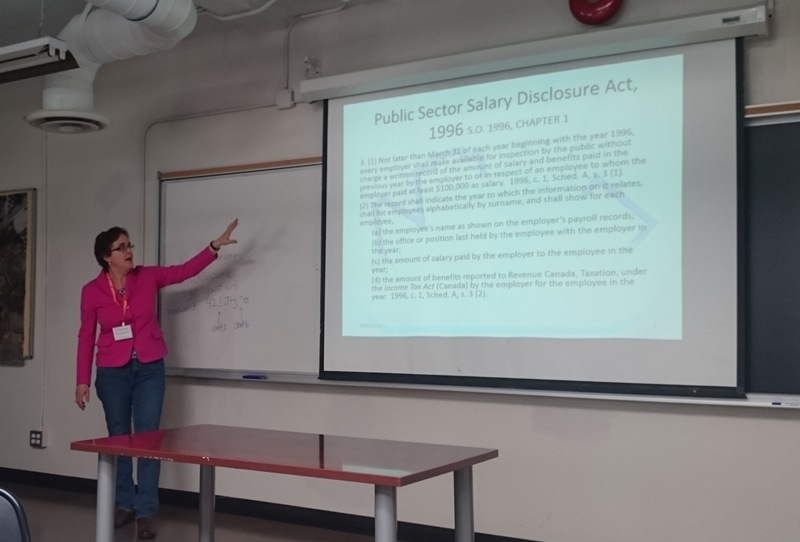 She was followed by Geothink Partner April Lindgren, an associate professor at Ryerson University’s School of Journalism and founding director of the Ryerson Journalism Research Centre, who discussed how to think and write clearly about one’s research. 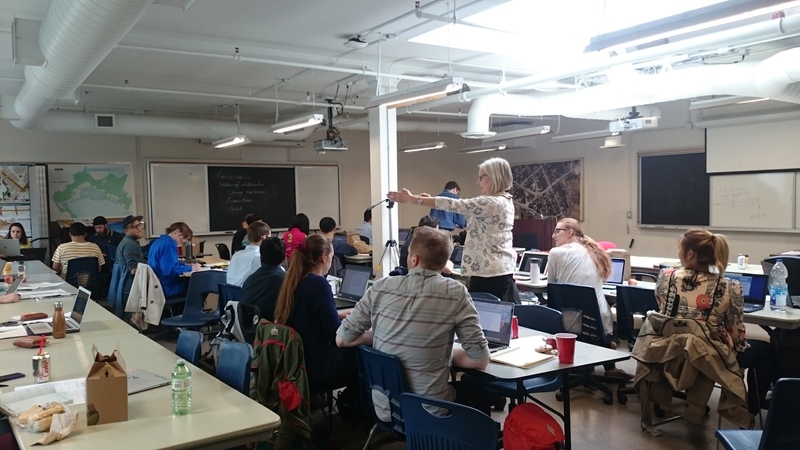 Over the first two days of the institute, students learned difficult lessons about applying actual open data to civic problems through group work and interactions with Toronto city officials, local organizations, and Geothink faculty. 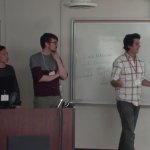 This last day of the institute represented the culmination of this work with open data. 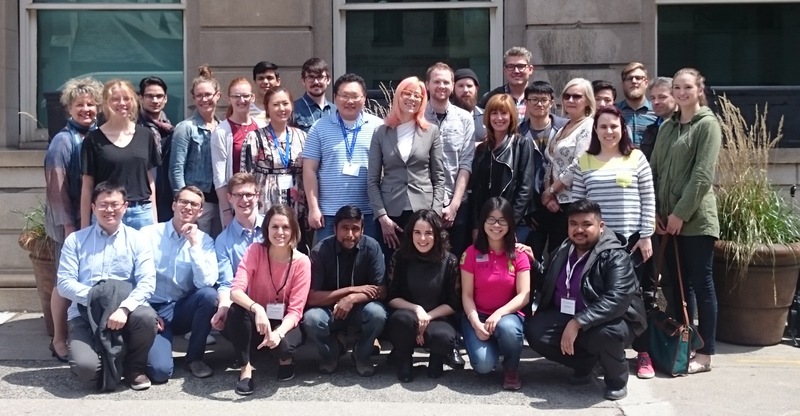 Held annually as part of a five-year Canadian Social Sciences and Humanities Research Council (SSHRC) partnership grant, each year the Summer Institute devotes three days of hands-on learning to topics important to research taking place in the grant. 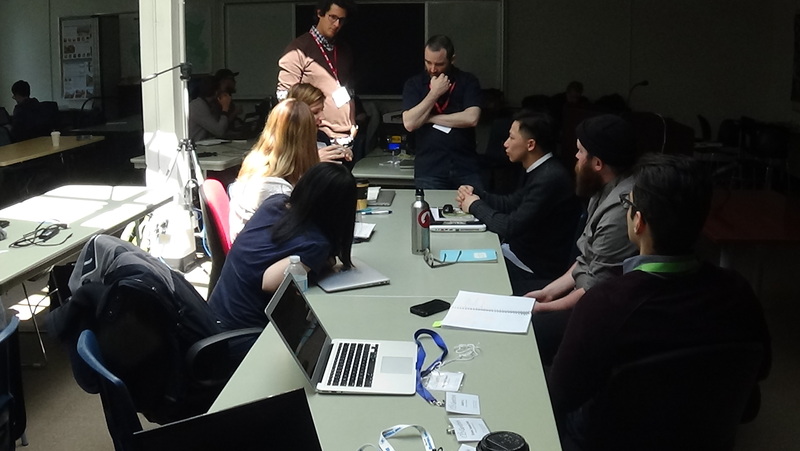 This year, each day of the institute alternated lectures and panel discussions with work sessions where instructors mentored groups one-on-one. After her introduction to the importance of students being able to communicate their ideas to a wider audience, Rahaula detailed the ways in which students should be structuring any opinions that they write. 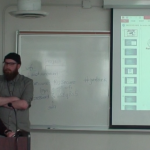 The interactive lecture took students through examples of opinion pieces ranging from good to bad, with detailed analyses of what made them either effective or ineffective. 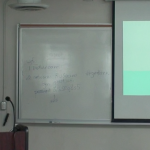 Lindgren continued with a discussion of the important points students should consider in constructing any piece of writing to make it accessible and engaging to the reader. For the students in attendance, the change in direction on the last day proved refreshing and taught them important new skills. For many, the nuanced and detailed coverage of best writing practices is not something that is often taught in their home departments. While working in groups, many mentioned learning important skills such as how to clearly organize an opinions piece, use Twitter to promote research, write captivating sentences, or pick the right time to propose an article to a publication. 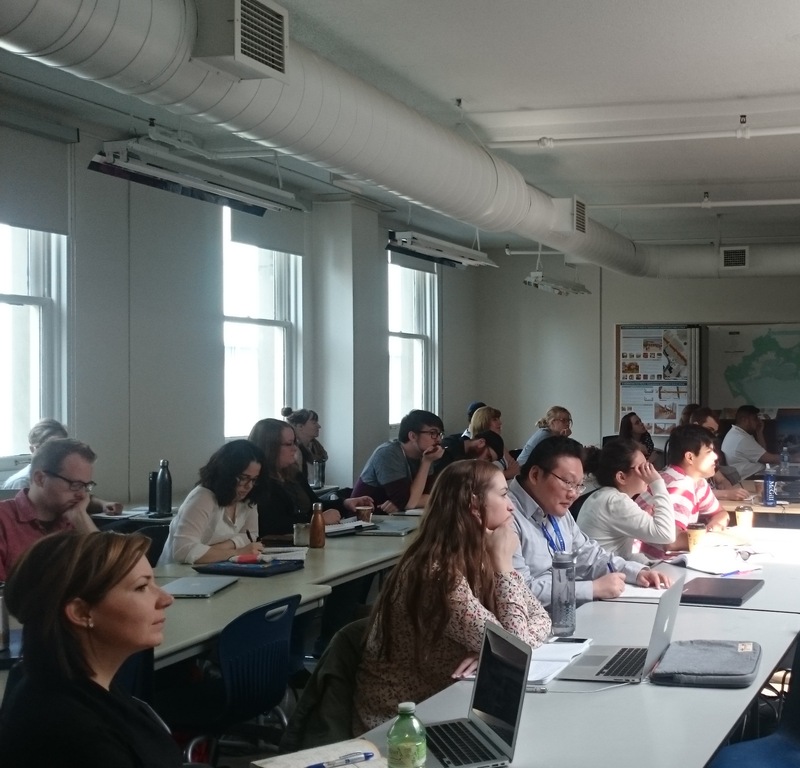 Geothink students, faculty, and staff at the 2016 Summer Institute at Ryerson University in Toronto. 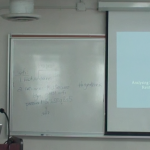 This entry was posted in Geothink Videos and tagged 2016 summer institute, Ann Rauhala, April Lindgren, Catalina Arango, Geothink, open data, Ryerson Journalism Research Centre, Ryerson University, school of journalism on May 23, 2016 by Drew Bush. Images and text from sites like Flickr (the source of this image) provide geosocial data that University of Waterloo Associate Professor Robert Feick and his graduate students work to make more useful to planners and citizens. A prevailing view of volunteered geographic information (VGI) is that large datasets exist equally across North American cities and spaces within them. Such data should therefore be readily available for planners wishing to use it to aid in decision-making. In a paper published last August in Cartography and Geographic Information Science, Geothink Co-Applicant Rob Feick put this idea to the test. He and co-author Colin Robertson tracked Flickr data across 481 urban areas in the United States to determine what characteristics of a given city space correspond to the most plentiful data sets. This research allowed Feick, an associate professor in the University of Waterloo’s School of Planning, to determine how representative this type of user generated data are across and within cities. The paper (entitled Bumps and bruises in the digital skins of cities: Unevenly distributed user-generated content across U.S. urban areas) reports that coverage varies greatly between downtown cores and suburban spaces, as may be expected, but also that such patterns differ markedly between cities that appear similar in terms of size, function and other characteristics. “Often it’s portrayed as if these large data resources are available everywhere for everyone and there aren’t any constraints,” he told Geothink.ca recently about this on-going research. Since these data sets are often repurposed to learn more about how people perceive places, this misconception can have clear implications for those working with such data sets, he added. “Leaving aside all the other challenges with user generated data, can we take an approach that’s been piloted let’s say in Montreal and assume that’s it going to work as well in Hamilton, or Calgary, or Edmonton and so on?” he said. Due to variations in VGI coverage, tools developed in one local context may not produce the same results elsewhere in the same city or in other cities. The actual types of data used in research like Feick’s can vary. Growing amounts of data from social media sites such as Flickr, Facebook, and Twitter, and transit or mobility applications developed by municipalities include geographic references. Feick and his graduate students work to transform such large datasets—which often include many irrelevant (and unruly) user comments or posts—into something that can be useful to citizens and city officials for planning and public engagement. Much of Feick’s Geothink related research at University of Waterloo naturally involves work in the Canadian context of Kitchener, Waterloo, and the province of Ontario. 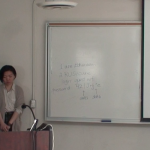 He’s particularly proud of the work being done by his graduate students, Ashley Zhang and Maju Sadagopan. Both are undertaking projects that are illustrative of Feick’s above-mentioned two areas of research focus. Many municipalities offer Web map interfaces that allow the public to place comments in areas of interest to them. Sadagopan’s work centres on providing a semi-automated approach for classifying these comments. In many cases, municipal staff have to read each comment and manually view where the comment was placed in order to interpret a citizen’s concerns. Sadagopan is developing spatial database tools and rule-based logic that use keywords in comments as well as information about features (e.g. buildings, roads, etc.) near their locations to filter and classify hundreds of comments and identify issues and areas of common concern. This work is being piloted with the City of Kitchener using data from a recent planning study of the Iron Horse Trail that that runs throughout Kitchener and Waterloo. Zhang’s work revolves around two projects that relate to light rail construction that is underway in the region of Waterloo. First, she is using topic modeling approaches to monitor less structured social media and filter data that may have relevance to local governments. “She’s moving towards the idea of changing public feedback and engagement from something that’s solely episodic and project related to something that could include also this idea of more continuous forms of monitoring,” he added. To explore the data quality issues associated with VGI use in local governments, they are also working on a new project with Kitchener that will provide pedestrian routing services based on different types of mobility. The light rail project mentioned above has disrupted roadways and sidewalks with construction in the core area and will do so until the project is completed in 2017. Citizen feedback on the impacts of different barriers and temporary walking routes for people with different modes of mobility (e.g. use of wheelchairs, walkers, etc.) will be used to study how to gauge VGI quality and develop best practices for integrating public VGI into government data processes. The work of Feick and his students provides important insight for the Geothink partnership on how VGI can be used to improve communication between cities and their citizens. Each of the above projects has improved service for citizens in Kitchener and Waterloo or enhanced the way in which these cities make and communicate decisions. Feick’s past projects and future research directions are similarly oriented toward practical, local applications. 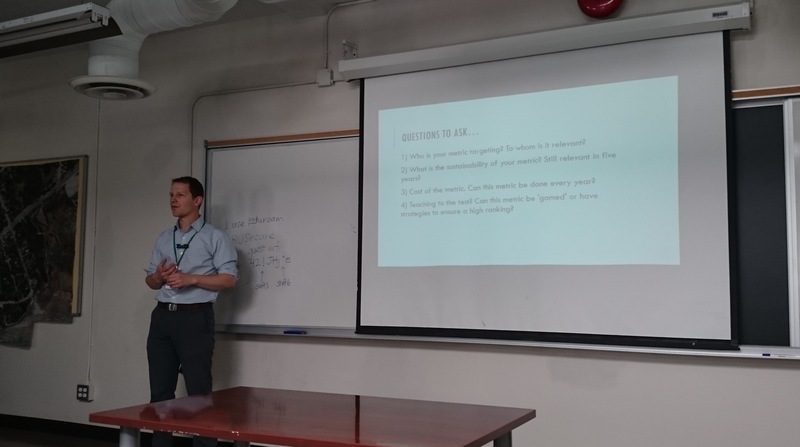 Past projects Feick has completed with students include creation of a solar mapping tool for Toronto that showed homeowners how much money they might make from the provincial feed-in-tariff that pays for rooftop solar energy they provide to the grid. It used a model of solar radiation to determine the payoff from positioning panels on different parts of a homeowner’s roof. Future research Feick has planned includes work on how to more effectively harness different sources of geosocial media given large data sizes and extraneous comments, further research into disparities in such data between and within cities, and a project with Geothink Co-Applicant Stéphane Roche to present spatial data quality and appropriate uses of open data in easy-to-understand visual formats. As momentum and interest builds to leverage new user-generated forms of digital expression with geographical content, classical issues of data quality remain significant research challenges. In this paper we highlight the uneven textures of one form of user-generated data: geotagged photographs in U.S. urban centers as a case study into representativeness. We use generalized linear modeling to associate photograph distribution with underlying socioeconomic descriptors at the city-scale, and examine intra-city variation in relation to income inequality. We conclude with a detailed analysis of Dallas, Seattle, and New Orleans. Our findings add to the growing volume of evidence outlining uneven representativeness in user-generated data, and our approach contributes to the stock of methods available to investigate geographic variations in representativeness. We show that in addition to city-scale variables relating to distribution of user-generated content, variability remains at localized scales that demand an individual and contextual understanding of their form and nature. The findings demonstrate that careful analysis of representativeness at both macro and micro scales simultaneously can provide important insights into the processes giving rise to user-generated datasets and potentially shed light into their embedded biases and suitability as inputs to analysis. 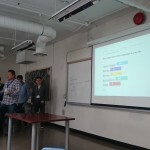 This entry was posted in Refereed Publications & Conferences and tagged Ashley Zhang, automate, geosocial data, Maju Sadagopan, municipal data, open data, Robert Feick, school of planning, University of Waterloo on May 5, 2016 by Drew Bush. 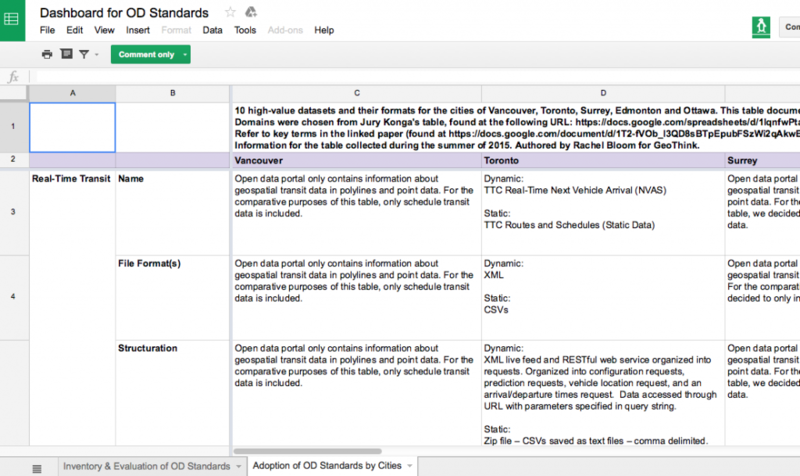 The first spreadsheet, Adoption of Open Data Standards By Cities, evaluates ‘high value’ datasets specific to 10 domains on the open data catalogues for the cities of Vancouver, Toronto, Surrey, Edmonton, and Ottawa. The second spreadsheet, An Inventory and Evaluation of Open Data Standards, catalogues and evaluates 22 open data standards that are available for domain-specific data. An accompanying white paper explains the two spreadsheets and the primary objective of Geothink’s Open Data Standards Project. 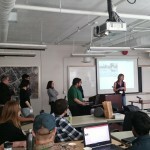 Rachel Bloom is a McGill University undergraduate student and project lead for Geothink’s Open Data Standards Project. 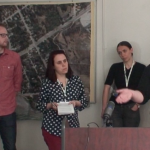 In February, I led a Geothink seminar with city officials to introduce the results of our open data standards project we began approximately one year earlier. The project was started with the objective of assisting municipal publishers of open data in standardizing their datasets. 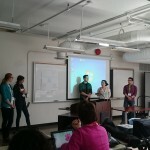 We presented two spreadsheets: the first was dedicated to evaluating ‘high-value’ open datasets published by Canadian municipalities and the second consisted of an inventory of open data standards applicable to these types of datasets. Both spreadsheets enable our partners who publish open data to know what standards exist and who uses them for which datasets. The project I lead is motivated by the idea that well-developed data standards for city governance can grant us the luxury of not having to think about the compatibility of technological components. When we screw in a new light bulb or open a web document we assume that it will work with the components we have (Guidoin and McKinney 2012). Technology, whether it refers to information systems or manufactured goods, relies on standards to ensure its usability and dissemination. Municipal governments that publish open data look to the importance of standards for improving the usability of their data. Unfortunately, even though ‘high-value’ datasets have increasingly become available to the public, these datasets currently lack a consensus about how they should be structured and specified. Such datasets include crime statistics and annual budget data that can provide new services to citizens when municipalities open such datasets by publishing them to their open data catalogues online. Anyone can access such datasets and use the data however they wish without restriction. Civic data standards provide agreements about semantic and schematic guidelines for structuring and encoding the data. Data standards specify technical data elements such as file formats, data schemas, and unique identifiers to make civic data interoperable. For example, most datasets are published in CSV or XML formats. CSV structures the data in columns and rows, while XML encapsulates the data in a hierarchical tree of <tags>. They also specify common vocabularies in order to clarify interpretation of the data’s meanings. Such vocabularies could include, for example, definitions for categories of expenditure in annual budget data. Geothink’s Open Data Standards Project offers publishers of open data an opportunity to improve the usability and efficiency of their data for consumers. This makes it easier to share data across municipalities because the technological components and their meanings within systems will be compatible. No single, clear definition of an open data standard exists. In fact, most definitions of an ‘open data standard’ follow two prevailing ideas: 1) Standards for open data; 2) And, open standards for data. Geothink’s project examines and relates together both of these prevailing ideas (Table 1). The first spreadsheet, the ‘Adoption of Open Data Standards By Cities’, considers open data and its associated data standards. The second spreadsheet, the ‘Inventory of Open Data Standards,’ considers the process of open standardization. In other words, we were curious about what standards are currently being applied to open municipal data, and how to break down and document open standards for data in a way that is useful to municipalities looking to standardize their open data. The project’s evaluation of datasets relates to standards for open data. Standards for open data refer to standards that, regardless of how they are developed and maintained, can be applied to open data. Open data, according to the Open Knowledge Foundation (2014), consists of raw digital data that should be freely available to anyone to use, repurposable and re-publishable as users wish, and absent mechanisms of control like restrictive licenses. However, the process of developing and maintaining standards for open data may not require transparency nor include public appeals for its development. To discover what civic data standards are currently being used, the first spreadsheet, Adoption of Open Data Standards By Cities, evaluates ‘high value’ datasets specific to 10 domains (categories of datasets such as crime, transportation or or service requests) in the open data catalogues for the cities of Vancouver, Toronto, Surrey, Edmonton and Ottawa. The types of data were chosen based on the Open Knowledge Foundation’s choice of datasets considered to provide greatest utility for the public. The project’s spreadsheet notes salient structuring and vocabulary of each dataset; such as the name, file format, schema, and available metadata. It especially notes which data standards these five municipalities are using for their open data (if any at all). With consultation from municipal bodies and organizations dedicated to publishing open data, we developed a second spreadsheet, Inventory and Evaluation of Open Data Standards, that catalogues and evaluates 22 open data standards that are available for domain-specific data. The rows of this spreadsheet indicate individual data standards. The columns of this spreadsheet evaluate background information and quality for achieving optimal interoperability for each of the listed standards. Evaluating the quality of the standard’s performance, such as whether the standard is transferable to multiple jurisdictions, is an important consideration for municipalities looking to optimally standardize their data. Examples of open data standards in this inventory are BLDS for building permit data and the Budget Data Package for annual budget data. 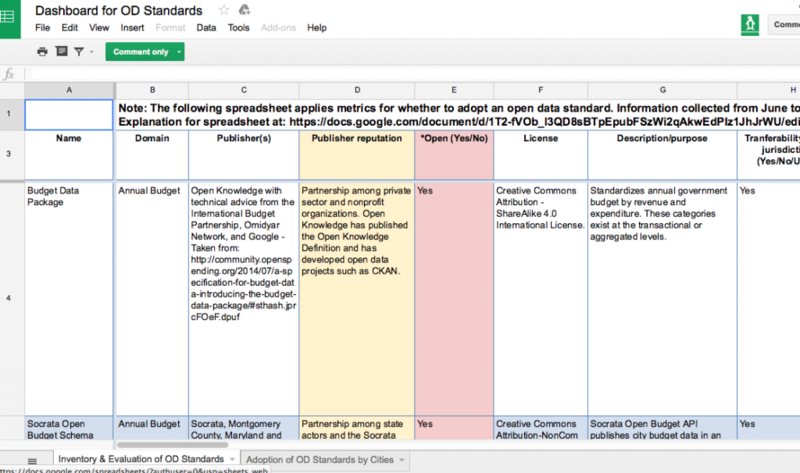 The project’s second spreadsheet is concerned with open standards for data. Open standards, as opposed to closed standards, requires a collaborative, transparent, and consensus-driven process to maintain its development (Palfrey and Gasser, 2012). Therefore, open standards honor a commitment to processes of transparency, due process, and rights of appeal. Similarly to open data, open standards resist processes of unchecked, centralized control (Russell, 2014) . 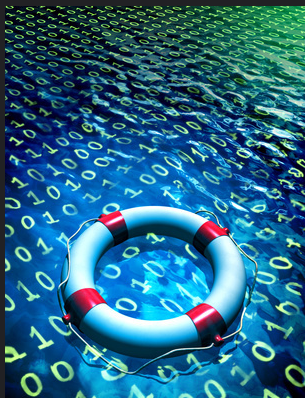 Open data standards make sure that end users do not get locked into a specific technology. In addition, because open standards are driven by consensus, they are developed according to the needs and interests of participatory stakeholders. While we provide spreadsheets on both, our project advocates implementing open standards for open data. In light of the benefits of open standardization, the metrics of the second spreadsheet note the degree of openness for each standard. Such indicators of openness include multi-stakeholder participation and a consensus-driven process. Openness may be observed through the presence of online forums to discuss suggestions or concerns regarding the standard’s development and background information about each standard’s publishers. In addition, open standards use open licenses that dictate the standards may be used without restriction and repurposable for any use. Providing this information not only allows potential implementers to be aware of what domain-specific standards exist, but also allows them to gauge how well the standard performs in terms of optimal interoperability and openness. Finally, an accompanying white paper explains the two spreadsheets and the primary objective of my project for both publishers and consumers of open data. In particular, it explains the methodology, justifies chosen evaluations, and notes the project’s results. In addition, this paper will aid in navigating and understanding both of the project’s spreadsheets. My work on this project has led me to conclude that the majority of municipally published open datasets surveyed do not use civic data standards. The most common standard used by municipalities in our survey was the General Transit Feed Specification (GTFS) for transit data and the Open311 API for service request data. 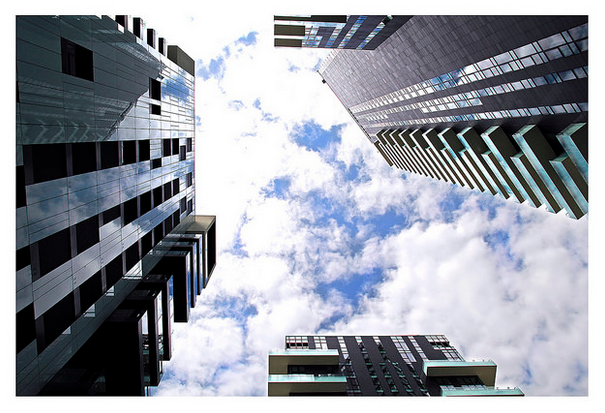 Because datasets across cities and sectors vary formats and structure, differences in them coupled with a lack of cohesive definitions for labeling indicate standardization across cities will be a challenging undertaking. Publishers aiming to extend data shared among municipalities would benefit from collaborating and agreeing on standards for domain-specific data (as is the case with GTFS). Our evaluation of 22 domain-specific data standards also shows standards do exist across a variety of domains. However, some domains, such as budget data, contain more open data standards than others. Therefore, potential implementers of standards must reconcile which domain-specific standard best fits their objectives in publishing the data and providing the most benefits for public good. Many of standards also contain information for contacting the standard’s publishers along with online forums for concerns or suggestions. However, many still full information regarding their documentation or are simply in early draft stages. This means that although standards exist, some of these standards are in their early stages and may not be ready for implementation. This project has room for growth so that we can better our partners who publish and use open data decide how to go about adopting standards. To accomplish this goal, we could add more cities, domains, and open standards to the spreadsheets. In addition, any changes made to standards or datasets in the future must be updated. In terms of the inventory of open data standards, it might be beneficial to separate metrics that evaluate openness of a standard from metrics that evaluate interoperability of a standard. Although we have emphasized the benefits of open standardization in this project, it is evident that some publishers of data do not perceive openness as crucial for the successfulness of a data standard in achieving optimal interoperability. As a result, my project does not aim to dictate how governments implement data standards. Instead, we would like to work with municipalities to understand what is valued within the decision-making process to encourage adoption of specific standards. We hope this will allow us to provide guidance on such policy decisions. Most importantly, to complete such work, we ask Geothink’s municipal partners for input on factors that influence the adoption of a data standard in their own catalogues. 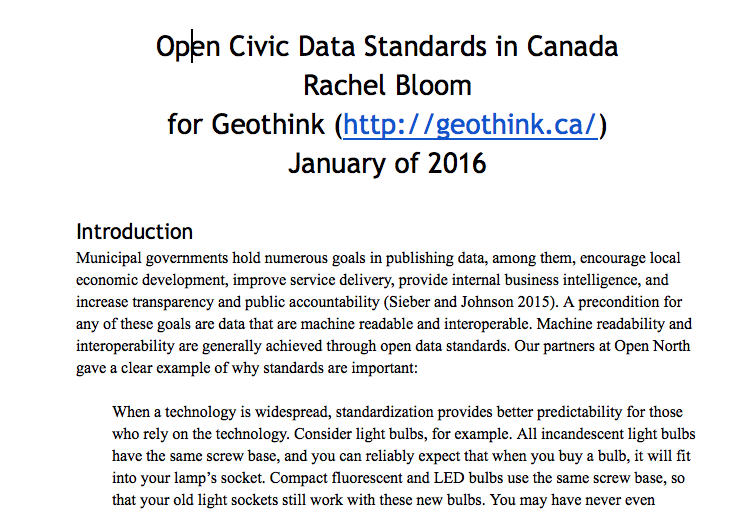 Contact Rachel Bloom at rachel.bloom@mail.mcgill.ca with comments on this article or to provide input on Geothink’s Open Data Standards Project. Guidoin, Stéphane and James McKinney. 2012. Open Data, Standards and Socrata. Available at http://www.opennorth.ca/2012/11/22/open-data-standards.html. November 22, 2012. Palfrey, John Gorham, and Urs Gasser. Interop: The promise and perils of highly interconnected systems. Basic Books, 2012. Russell, Andrew L. Open Standards and the Digital Age. Cambridge University Press, 2014. 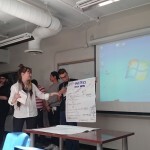 This entry was posted in Research Project and tagged canada municipalities, choosing open data stndards, Edmonton, geothink open data standards project, geothink partners, mcgill undergraduate, open data, open data domains, open data standards, Ottawa, Rachel Bloom, standards, Surrey, Toronto, Vancouver on March 28, 2016 by Drew Bush.